"This is our best iPhone launch yet -- more than 9 million new iPhones sold -- a new record for first weekend sales," said Apple CEO Tim Cook in a statement. The 9 million includes units sold worldwide through Apple's own retail stores, those through its carrier partners' stores, and the iPhone 5c smartphones delivered Friday or Saturday from pre-sales of the new plastic-cased, lower-priced model which started Sept 13. 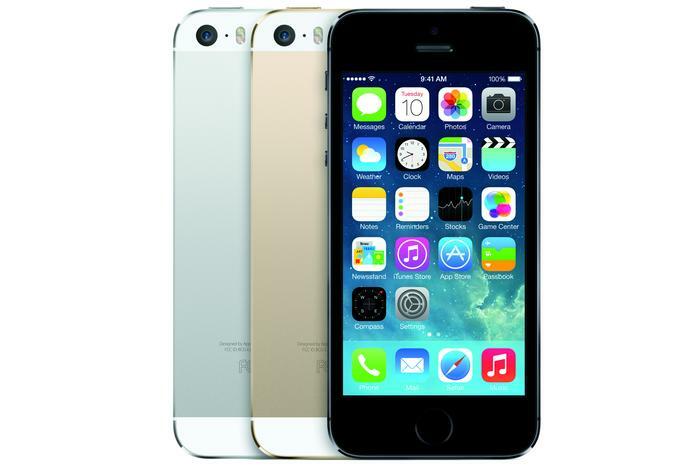 Apple began selling the iPhone 5c and the flagship iPhone 5s on Friday, 20 September. The tally also presumably includes sales of the iPhone 4S, which Apple has retained to cover the low end of its three-model sales tier. Wall Street analysts said the 9 million sales figure blew by their estimates. "We had expected 6 million over opening weekend and believe demand is proving much stronger than anticipated," said Brian Marshall of ISI Group in a note to clients Monday. Marshall, who said that earlier records had been "blown away" by the opening, also told investors that his previous estimate of 50 million iPhones for the fourth quarter -- the one that will end on 31 December -- was plainly on the conservative side. Brian White of Cantor Fitzgerald & Co. was even more bullish on the iPhone numbers. "This is well above our estimate of 6 million to 6.5 million that was at the high end of expectations ... and is very big for Apple," White wrote to his clients today. Adding that the iPhone 5c in particular "defies the critics," he added that "criticism of the iPhone 5c as being too expensive versus expectations, and thus demand would be muted, were proven wrong." White was referring to expectations prior to the unveiling of the iPhone 5c that had centered on a much lower price of the new handset. Instead, others argued, Apple stuck to its long-running premium-price strategy, reminding everyone, consumers most of all, that the iPhone is a top-tier smartphone linked to a luxury brand. Along with the sales announcement, Apple also told Wall Street it was more optimistic about the current quarter revenue. "Apple expects total company revenue for the fourth fiscal quarter to be near the high end of the previously provided range of $34 billion to $37 billion, and expects gross margin to be near the high end of the previously provided range of 36 per cent to 37 per cent," Apple said in a filing with the U.S. Securities and Exchange Commission (SEC) today. Apple's fourth fiscal quarter, which ends on 30 September, is the same as the third quarter of the calendar. The fly in the ointment, however, is that Apple has already exhausted its supply of the iPhone 5s, its flagship smartphone priced from $829 in Australia. Within hours of the iPhone 5s sales kick-off Friday, Apple ran through its supply, first at its online store then at its brick-and-mortar outlets. Cook acknowledged the iPhone 5s shortages. "The demand for the new iPhones has been incredible, and while we've sold out of our initial supply of iPhone 5s, stores continue to receive new iPhone shipments regularly," Cook said in his statement today. "We appreciate everyone's patience and are working hard to build enough new iPhones for everyone." The iPhone 5s currently shows "October" as the projected ship date of new orders, but the iPhone 5c will ship within 24 hours. Marshall of ISI said it was "hard to determine how quickly supply will ramp to meet robust demand." But iPhone shortages are nothing new: When the iPhone 5 went on sale a year ago, the company drained stocks within an hour and shoved back shipping dates by two weeks. It sometimes takes months for Apple to reach a supply and demand balance. Marshall raised his estimate of 2013 iPhone shipments from 152 million to 173 million to a higher range of 160 million to 190 million based on the opening weekend number. His revised estimate of 36 million iPhones for the third quarter would represent a 34 per cent increase over the same period last year. By 1 p.m. ET today, Apple's stock had climbed 4.4 per cent, or US$20.42, on the sales news.